So I stumbled across this app just a few days ago and was really really impressed with it. I was looking for something like this for awhile now as I would think its the best application for the steem blockchain. After using this app for a few days, its really amazing at how seamless it is to use and those who have problem in finding what to post today ... just review what you are EATING okay ! Getting started is very easy. Download the app on your ANDROID Phone =) Sorry iPhone fanbois . And then login using your steem id. They use Steemconnect to connect the app, so its SAFE ! 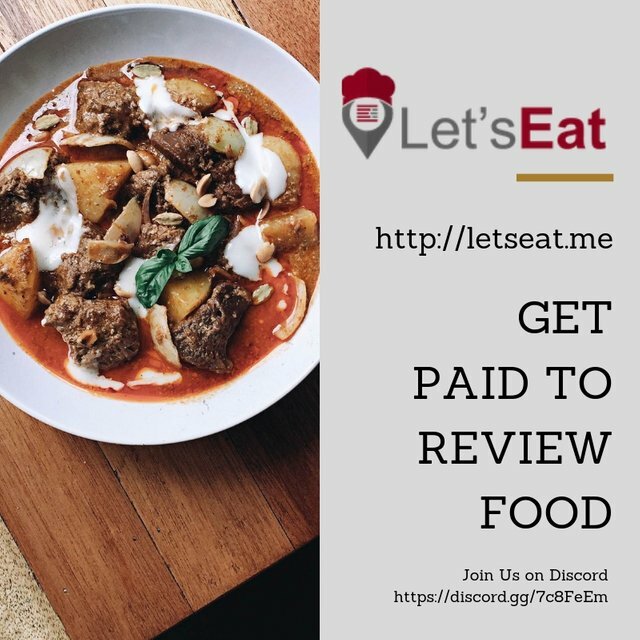 Once you are done , you can now start reviewing restaurants. You may come across a few bugs here and there but overall this app is pretty awesome and works like how its suppose to. Look ! I found a few steemians in Malaysia already using this app. Its great to see steemians reviewing these restaurants. You can see this mark that there is a review made. The entire development team and project is runned by @eroche , come join us and have a chat in the discord channel. Currently I see a whole bunch of Food lovers from Teammalaysia ! See how we love our food ... hope to see everyone else from every country share on Let'sEat ! Saw your post last week using this app and I thought about trying it out too. Just like you, I was so impressed as it was so easy to use. 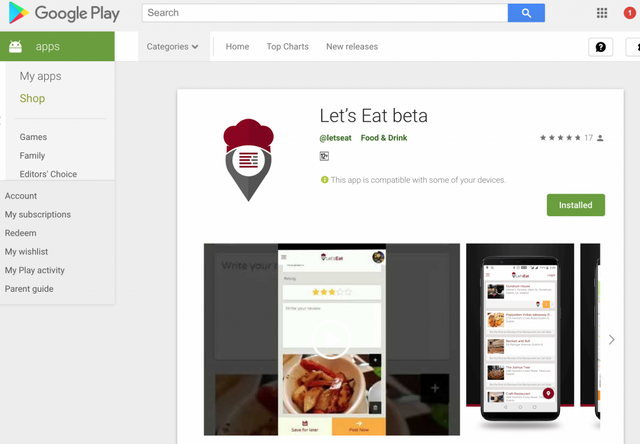 Now, everytime I have my meals, I will surely make a review about it using this app. time to go nuts with food reviews ... lol ... our journey of being a true food blogger / influencers starts ! You can post what you feel like. Pictures work too. Just think if you are out looking for a place to eat what would help you choose. Oh wow, this looks good! Thanks for the intro, will check it out soon! This is really great!! I won't have to waste my time in a restaurant..
haha ... so so true ! its a nice concept. It will attract many people to come forward for the review because they will get rewards for it. good one. This is actually amazing. I have to get on this and review all the restaurants I have visited. Your UA account score is currently 6.428 which ranks you at #167 across all Steem accounts. In our last Algorithmic Curation Round, consisting of 324 contributions, your post is ranked at #12.